Bare Island is small island about 60m off the mainland, connected by a bridge. The site of a colonial era fort, the island was home to a significant portion of one of the Mission Impossible movies. The eastern side drops quickly to 10m as you follow the island wall around. This is a good area for weedy sea dragons and a whole host of nudibranchs on the various rock formations. This is the area where there’s lots of pygmy pipehorse. This area also makes a great night dive. 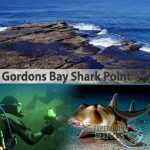 During night dives, wobbegong sharks and port jackson sharks come into the bay and settle for the night near bare island and are seen frequently on such dives at night. 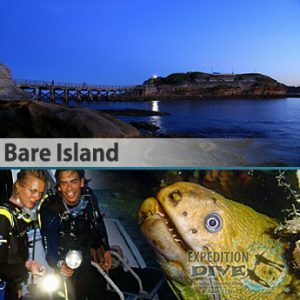 Expedition dive offers special excursions to bare; a day and night dive package, 1st dive meeting before sunset, tea/coffee break while enjoying the sunset then a consecutive night dive, for 2 completely different exhilarating diving experiences! The local Aboriginal tribes of Gweagal and Kameygal are almost certain to have given the small island a name, but it has not survived through to present time and is not even known now to the locals. 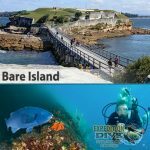 Joined to the mainland by a small timber bridge, Bare Island is perfect for either day or night diving in almost all weather. In even moderate seas you can safely dive in almost any spot and in very heavy seas you can usually dive the protected (right) side of the island. Only in huge seas (say over five metres average) can you not get a dive at Bare Island. 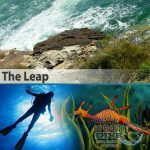 There are many different dives can be done around the island itself, as well as along the shore on either side of the bridge. The 2 most popular dives in the area are around the walls of the island itself. Entry is from the rock platform on either the main land, or the island proper – pick the right entry point to suit the conditions on the day. 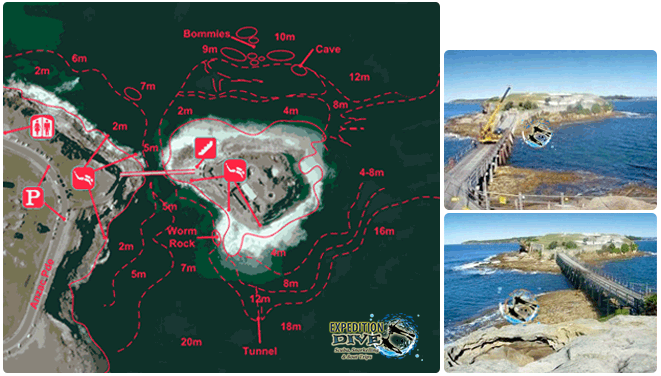 The bridge connecting the mainland to the island is the natural delineation point for the 2 main dives – which are known as Bare Island East (Left) and Bare Island West (Right). Both are wonderful spots, and each a bit different from the other.